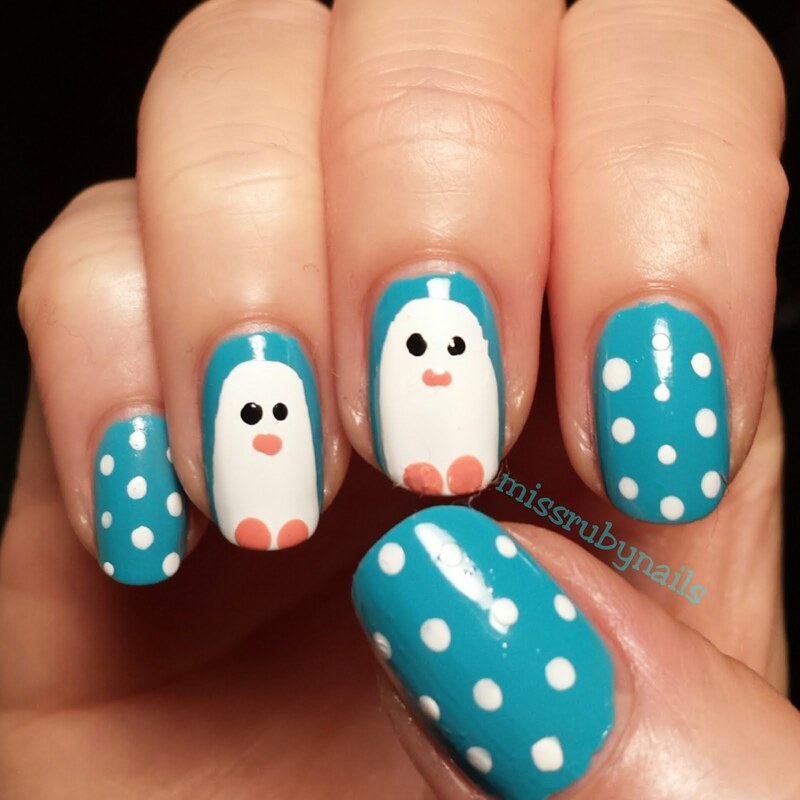 Miss Ruby Nails: Penguin Nails! Cuteness overload!!! How adorable are these penguin nails? These are actually quite simple to do so let's get started! 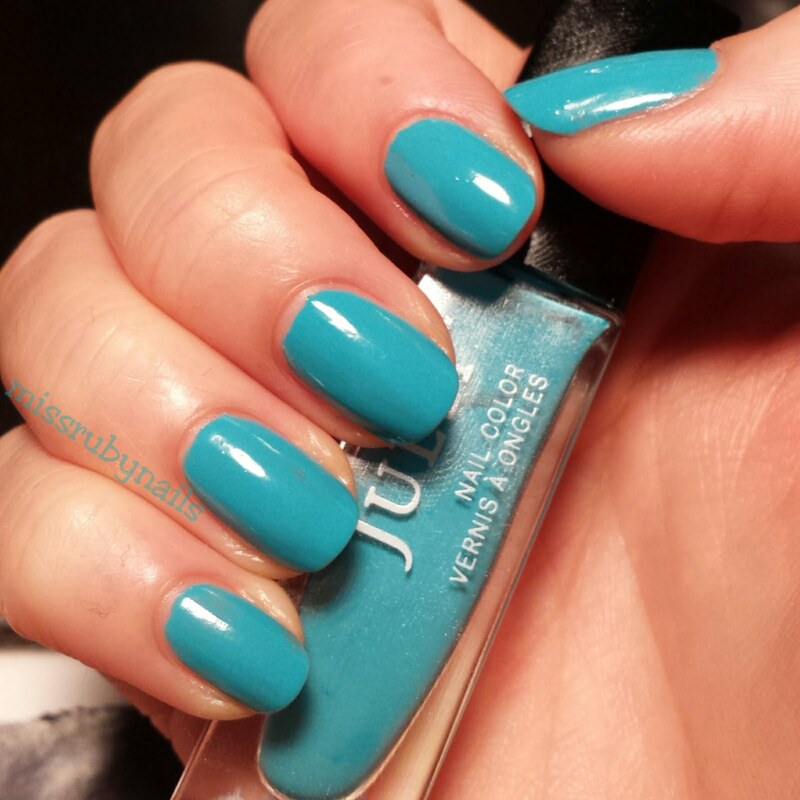 I chose a teal color polish as a base and this one was by Julep. I did 2 thin coats to achieve this color. 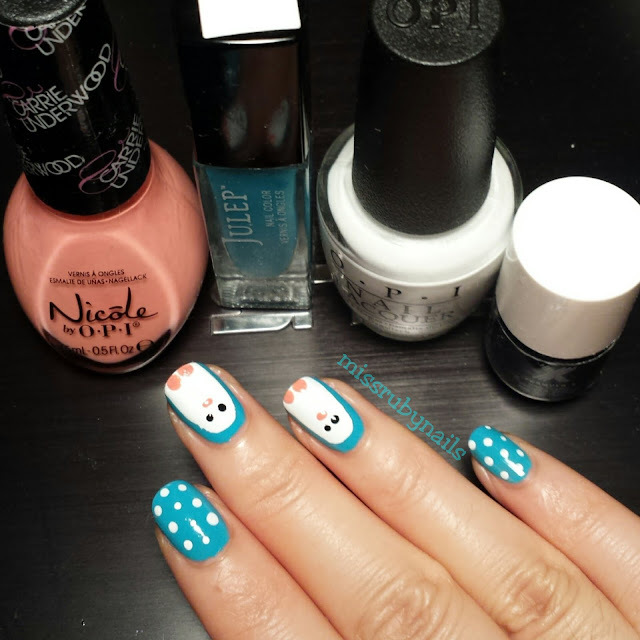 On the 3rd and 4th nails. I paint a white polish just at the inner portion of the nail. It would be best to have an opaque white color so this can be good to go in 1 coat. 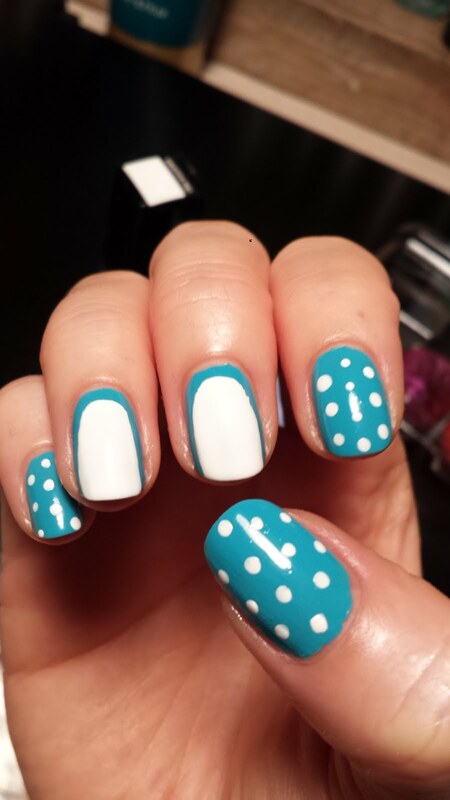 I simply dotted some polka dots with the same white polish on the rest of the nails. I then added the features of the penguins using a black for the eyes and a peach color for the mouth and feet. After applying top coat then we are done! Simple right? Cute! 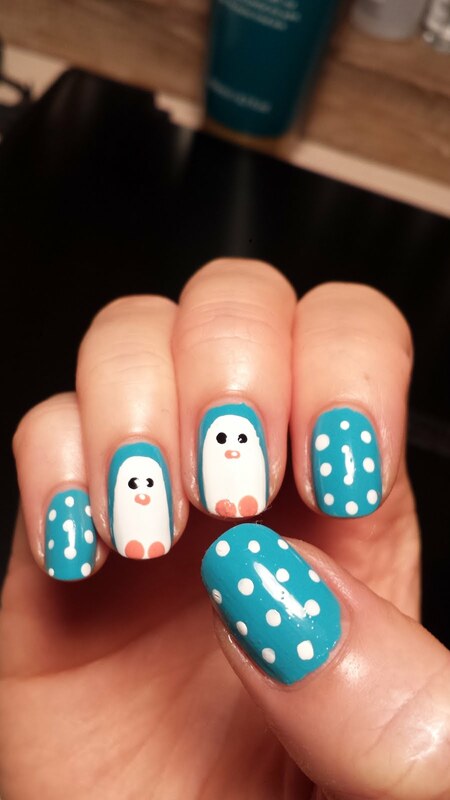 I am in love with nail salon websites so much. One can find million interesting ideas there!